Is there a way to stop aggressive behavior when a young child with Aspergers is in the middle of a meltdown? 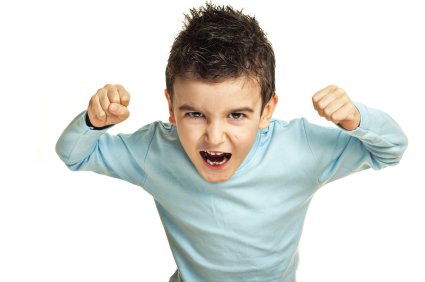 It is not uncommon for kids with Aspergers (high-functioning autism) to become aggressive. Aspergers causes a youngster to struggle to understand how their behaviors affect other kids. The many symptoms and characteristics of the disorder can cause extreme frustration. This frustration can lead to anxiety, depression, anger, and aggressive behavior. Aspergers calls for a direct approach. Therapies such as cognitive-behavioral therapy, social skills training, and occupational therapy will help with levels of frustration and also touch on self-control, a necessary skill for all of us. However, there are several things parents can do at home to lessen the impact of aggressive meltdowns. Redirection can sometimes be used during the beginning stages of a meltdown to reduce the escalation. Removal from the situation is necessary once a meltdown has developed. Role-play appropriate responses to tricky situations with your youngster. Role-playing is an excellent option for teaching all types of social skills to kids with Asperger’s. Social stories are excellent for teaching young kids about problem behaviors. These should be used during quiet moments and not during any stage of aggressiveness or frustration. Teach youngster to recognize red light/green light behaviors, red being a poor choice and green being a good choice. How can I deal with transition between schools for my son with Asperger Syndrome? For kids with Aspergers (high-functioning autism), transition between schools will evoke a wide range of negative emotions. Change is difficult for these kids, and when a new school year rolls around, everything changes. New classmates, new teachers, and new schedules can cause major anxiety, which can spiral to depression. Dealing with the Aspergers transition problems can also affect your youngster’s home life. Anxiety brought about at school will carry over at home causing disruption. Anger and frustration can escalate, triggering meltdowns. While the transition at school cannot be avoided, there are things a parent can do to lessen the effects of all the change that comes with moving to a new school. Create a visual calendar that shows when the change will occur. Meet with the special education coordinator at the new school to discuss my youngster and ways this person can help with the transition. Schedule doctor’s appointments and therapy appointments to discuss counseling, medication, and any other available forms of help for my youngster’s transition. Talk to my youngster about the changes that are coming. Visit current teachers and therapists and request their help. Visit the new school for a tour and then plan a visit with my youngster. Moms and dads must prepare their youngster for the Aspergers transition period. Talk with your youngster about the change that is coming long before it actually happens. For example, near the end of this school year you can mention during your drives to school how your morning drive will be different next year. This will most likely bring protests, and this will give you a chance to talk positively about the new school. Keep it light and without pressure. The teachers and therapists at your youngster’s new school should know all about your youngster with Aspergers. Transition will be less difficult if the new school staff has a plan in place specifically for your youngster. A complete and dedicated team should be in place for your youngster with Aspergers. Transition team members may include the pediatrician, neurologist, psychologist, school counselor, teacher, and most importantly, the moms and dads. While the medical community may rely on medical tests, medications, and therapies, the moms and dads can offer support at home. Moms and dads can find resources like books and videos to help them encourage their youngster. 1. Aspergers kids and teens are often described by their parents as being bright but clueless. 2. Kids with Aspergers often score well within the normal range on standardized tests typically used by schools to evaluate students. These tests usually do not test for social skills. 3. It is often helpful for parents to think of themselves as coaches for their kids. 4. Children/teens with Aspergers can have wide ranges of strengths and weaknesses which can puzzle and frustrate parents and educators. For example, since he can program a computer, why can’t he write a book report? 5. Persons with social-cognitive deficits still desire successful social relationships and companionship. Do not assume that they don’t want to have friends. 6. Poor parenting or role modeling does not cause Aspergers. 1. An activity notebook: These can be used to document all the activities in a given day. Then parents and youngster together can plan for minor changes in routines to help decrease time spent in repetitive stereotypes movements such as rubbing or twirling, or spending all one’s time on a single interest. 2. Discussions on specific topics such as how to greet others, how to wait your turn, how to ask for something, what to do when you don’t get your own way, and how to tell someone you like them. Use pictures, role model actual situations, or write in a journal. 3. Emotion Flash Cards or vocabulary cards: These are cards that describe in pictures various emotions. 4. How to give and receive compliments. What types of compliments are appropriate in a given situation? 5. How to help others. Teach the youngster or teen specific tools to use to understand situations in which it is or isn’t appropriate to help others. 6. How to understand and use skills such as using a friendly and respectful tone of voice, or waiting for pauses in conversation. 7. Learning to recognize early signs of stress and anxiety, to avoid going into the anxiety-anger cycle. 8. Roll-play various stressful and/or emotional situations. 9. Strategies to teach how to recognize and cope with one’s emotions. These include the use of an anger thermometer, lists of things that might make one horrified, bored, confused, overjoyed, or mad; or emotion scales which assign a number score to the intensity of a given emotion. 10. Teach commonsense rules for starting conversations. For example, one system is the PATHS method. This stands for Prepare ahead, Ask yourself what you are going to talk about, Time it right, say Hello, and watch for nonverbal Signals. 11. Teach how to notice and use nonverbal skills. For example, the SENSE method. This stands for Space (maintain the proper physical space between others), Eye Contact, Nodding (To show agreement or disagreement), Statements of Encouragement (such as uh-uh), and Expressions (face). 12. Teach the difference between public and private. Be very specific. Make lists or draw pictures of private activities and public activities. Make lists of examples of private places and public places. 13. Teach vocal cues. One such cue is proper use of tone of voice. Ask teen or youngster to try to guess what people are thinking based on inflection in speech patterns or tone of voice. 14. The “I Laugh” Approach: These are a series of specific exercises to teach communication skills and problem solving. “I Laugh” stands for: Initiating new activities, Listen effectively, Abstracting and inference, Understanding perspective, Gestalt, the big picture, and Humor.